This post brought to you by Coca Cola. All opinions are 100% mine. It's summer, and Anchorage, Alaska has had such wonderful weather it actually made the national news. It gets to be about 10 am, and the sun starts calling me, to work in my yard and garden, or to go out hiking and exploring, go bird watching or go to the zoo. Just anything to be out in that gorgeous summer weather. It's easy to get very busy, and to forget to stay hydrated. Sam's Club has you covered with Coca Cola products at great prices. I can enjoy a bottle of Dasani® while taking photos. My daughter likes Vitamin Water® and Powerade®, my son has been wild for Fuze® for years and he likes their ice tea too! NOS® has electrolytes and caffeine for lots of energy for hiking and other outdoor sports. It's so important to stay hydrated, and having great tasting options will make it easier. It's easy to slip a bottle into a backpack or bag. Really, it hasn't been hard to remember to stay hydrated on the very warm days. I know a lot of you don't consider 70 degrees warm, but for a family completely acclimated to Alaska like mine is? 70 degrees is very warm. You perspire to keep cool, and lose so much liquid that way. Drinking something nice and cold helps you feel cooler too. The winters last so long that I'm loving the very warm days that start at 4 am and end around 11 pm. I'm loving gardening and having to water my thirsty plants twice a day. If they need it, I do too. 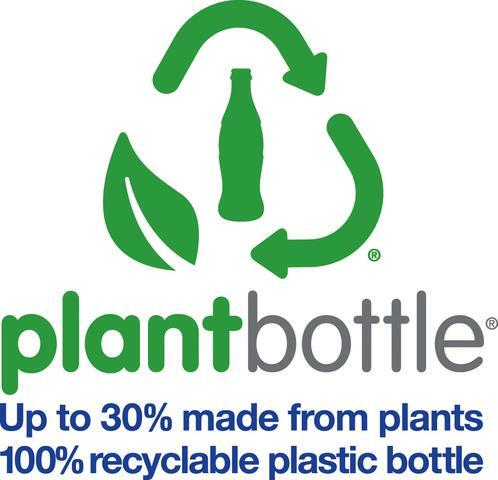 Speaking of plants, Coke® products use plant based plastics in their bottles!